Investors, both domestic and foreign, that wish to establish a university in Vietnam would be required to have a capital of at least VND 1 trillion (USD 43.9 million). This is a provision of a draft decree designed to replace Decree 73 of 2012 on foreign investment and cooperation in education, which is expected to create a fair playground for both local and foreign investors in the education sector. Under the draft decree, any investment project to open a university must have a minimum investment capital of VND 1 trillion, exclusive of the value of the land area on which the institution will be built. Such capital amount would be determined in cash and property and approved in writing by competent authorities. Compared to the current requirement of VND 300 billion (USD 13.2 million) stipulated in Decree 73, the total amount of investment capital that foreign investors are required to have would increase significantly. As explained by the drafters of the decree, the increase aims to guarantee the quality of universities. Le Truong Tung, Chairman of FPT University’s Executive Board, considers the new requirement reasonable as it is at least equal to the requirement for local investors. Under Decree 46 of 2017 on conditions for investment and operation in the education sector, local investors that wish to establish private universities are required to have an investment capital of at least VND 1 trillion. However, as Decree 46 mentions nothing about universities established before its effective date, such provision is seen as “a barrier for new investors rather than a tool for guaranteeing quality”. “In order to create fairness for new players, including local and foreign investors, institutions already in existence would also have to increase their investment capital according to a specific schedule,” Tung suggested. Another concern of investors is the requirement on teacher profiles upon submitting dossiers of application for an establishment license, which, according to some legal experts, should be abolished. “When investors are in the stage of applying for a license, their projects have not yet commenced operation, thus not able to sign contracts with employees. Not to mention that it takes extremely long for investors to get a license,” Nguyen Kim Dung, Legal Director for Apollo and British University Vietnam, was quoted by the Vietnam Investment Review as saying. Dung also suggested eliminating the requirement that foreign language teachers must have five years of experience and reconsidering another requirement regarding the acceptance rate for Vietnamese students at foreign-funded high schools. 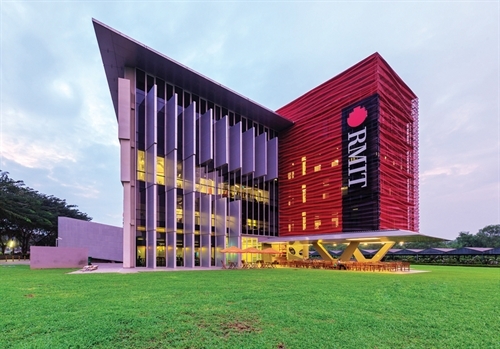 According to Phillip Dowler, head of RMIT Vietnam’s branch in Hanoi, this requirement makes it difficult for schools to hire teachers because some have experience but have not yet been teaching for five years, and vice versa. Sharing this view, Dang Van Dinh, head of the Policy Research and Development Department under the Association of Vietnam Universities and Colleges, believed that schools should be given greater autonomy. Dung also suggested the abolition of the requirement that an investor must have a license to establish a short-term education institution.